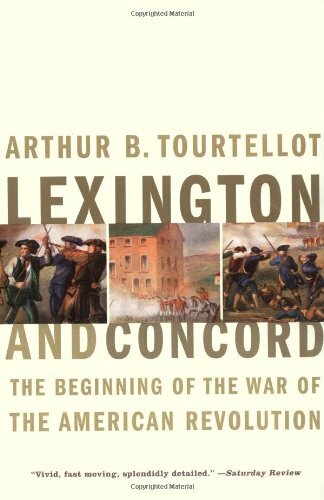 April 19th is a significant date in the American Revolution as it signals both the start and end of the war. Two lanterns are hung in the steeple of the Old North Church in Boston. The people of Charlestown are warned: the enemy will approach by sea. Paul Revere, William Dawes and dozens of others saddle their horses and take midnight rides across Massachusetts. John Hancock and Sam Adams are staying in Lexington while waiting to depart for the Second Continental Congress. They get word of the redcoat’s movements and head out of town. The British arrive. There is a brief skirmish with the local militia who retreat out of town. The soldiers take all the guns and ammunition they can find and move on to the next town. When they arrive in Concord, the people show them where (some of) the weaponry is hidden. The militia is watching from the hillside. As time passes, more minutemen from neighboring villages arrive and the American numbers swell. The British burn some of the supplies they have taken. Seeing fire in their town, the militia moves in closer to get a better view. They encounter some of the British. Someone fires. The shot is heard round the world. As the British retreat to Boston, more and more militia men show up. The soldiers are fired at the whole road back. The militia blocks the exists from the Boston peninsula. They’re an army now. The American Revolution has begun. 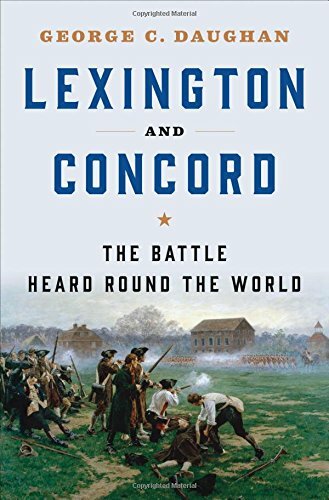 It has been a year and a half since the victory at Yorktown, all but defeating the British army. General Washington has kept his troops together. He did not want to assume. He wanted official word the war was won before he demobilized. John Adams, John Jay, Benjamin Franklin and Henry Laurens have been in France negotiating peace. They’ve sent back the Treaty of Paris. Congress has passed a preliminary ratification. In his General Orders of the day, Washington announces to his troops the hostilities have ended. After eight long years of war, there was no longer a need for an army. The American Revolution has ended. To be fair, the war did not officially end until the following September when the Treaty was signed in Paris. This was in actuality the end of the war. Washington's announcement and Congress' actions thereafter led to the demobilization of the Army.